INDUSTRY.co.id - Jakarta - The Ministry of Energy and Mineral Resources (ESDM) guarantees the availability and smoothness of the distribution of fuel oil (BBM) to the entire territory of Indonesia increasingly wider with sub distributor. Head of Communication, Information and Communications Service (KLIK) Bureau of the Ministry of ESDM Agung Pribadi said that the existence of sub-distributors is a substitute for the limitations of channeling agencies. "Instead of distributors, the existence of this sub-channel is very useful to help people in remote areas get fuel," said Agung in Jakarta, Monday (5/28/2018). This is reinforced by the development of BBM sub distributor institutions at certain points that are supported through the birth of Minister of Energy and Mineral Resources Regulation No. 13 of 2018 on the activities of Disbursing Fuel, Gas Fuel, and Liquefied Petroleum Gas (LPG). This policy is taken by the Government after understanding the complicated geographical conditions in some areas so that it is necessary to extend the hand of fuel distribution, especially in 3T (front, outer and behind) areas. Based on data from the Downstream Regulatory Agency for Oil and Gas (BPH Migas), the total number of channeling institutions in Indonesia is 7,780 distributors. This condition is not comparable with Indonesia's land area extending along 1.9 million square kilometers with a population of 261 million people. If the ratio is calculated, one channeling agency must cover 271.55 km2 or 36,900 inhabitants. When reading in developed countries, like the United States. With an area of ​​land along 9,000,000 km2 and 321 million people, Uncle Sam's country has a better ratio than Indonesia. One channeling agency only 80.91 km2 of the total number of dealers in the United States as much as 121,446 suppliers of fuel. Based on these conditions, the Government spawned Regulation of the Minister of Energy and Mineral Resources No. 13 of 2018 which regulates the existence of sub-distributors. Licensing process gets simplified. There is no need for a commercial business permit, simply report to the Directorate General of Oil and Gas at the Ministry of Energy and Mineral Resources, a representative of a consumer group can establish a sub-certifier after it is appointed by BPH Migas. Currently, there are 11 sub-line agencies operating in Buru (Maluku), Sula and North Halmahera (North Maluku), four in Asmat (Papua), two in Selayar (South Sulawesi), and two in Kubu Raya (West Kalimantan) . Six (two South Halmahera, one Central Halmahera, two Merauke, and one North Gorontalo) are again ready to operate and 13 others (one Halut, three Asmat, three Sangihe and six North Gorontalo) under construction. Meanwhile, BPH Migas is coordinating with 247 local governments related to the readiness of sub-distributors. "There are 247 local governments applying to BPH Migas to build sub-pipeline," said Head of BPH Migas Fansurullah Asa some time ago. The development of sub-distributors provides its own benefits for easy access to energy. 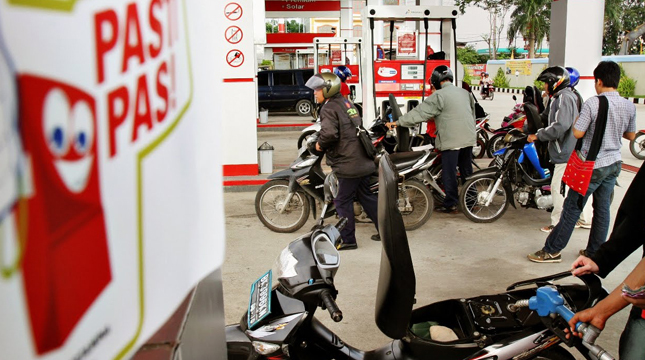 In addition to require less investment when compared to build a fuel dealers who swallow up to Rp5 billion s.d. Rp 8 billion, this program can also accelerate and expand the program of fuel affordability. Equally important, able to trigger economic growth and attract investment in the development of channeling institutions.